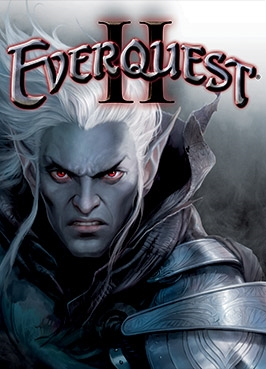 The 4th Expansion for EverQuest II, Rise of Kunark (aka GU40), went live on November 13th, 2007. Is There a City Around Here? You can get to Kylong Plains, the entry zone for high-level characters, by catching a boat at The Commonlands or Antonica dock. Sokokars are the Kunark equivalent of griffons. You must quest to receive your own personal Sokokar. As you find Sokokar Posts around Kunark, right click so your Sokokar knows where it is. Then right click the post to catch a ride. This is absolutely essential, as Kunark zones are huge. If you are an Adventurer level 65 or higher, speak to Borbin Happens. If you are under Adventure level 65, but a crafter level 65 or higher, speak to Borbin's Assistant Jones. The new mounts are available from Laydin Haggus in Teren's Grasp. You must have Teren's Grasp faction or he won't speak to you. Doing the quests available to you in Teren's Grasp and Dreg's Landing will raise your faction quickly. Teren's Grasp is the first full-service area in Kylong Plains. As you leave the docks there's a path heading up into the mountains. When you hit snow, look for the path past the yetis and take the left fork. You'll need to earn faction before most of the residents will deal with you, but doing the quests available to you in Teren's Grasp and Dreg's Landing will raise your faction quickly. According to an interview with Scott Hartsman at Ten Ton Hammer, the epic quests were held for an update, largely because of delays caused by the San Diego fires. So far as we have found, all Language Quests for RoK are based on collected pages rather than body-drop items. The fluttering pages appear the same as Tome collections, but instead of a ! over them, they will have a name such as "a scattered page". Also, the name of the quest in your quest journal will be "Kunark: A Mysterious color Tome". When you turn in the completed collection you will receive a book version. Read it to receive a quest to take you to the language teacher who will give you a quest/service to perform for them. When you complete the service they will teach you the language. Each page will be found within a short distance of a given location, which should be listed on the quest page. Tome collections (other than the language quests mentioned above) are geographically locked. That is to say, all the pages for a specific book will be located within a reasonably small area. Unlike the language quests, the exact locations and pages appear to be random within that area. For instance, Orthiss and Kirkata is centered on the city of Riliss in Fens of Nathsar. All of the pages for this book will appear in or just outside of Riliss. Throughout Rise of Kunark you will find organized camps of NPCs that are friendly, or not impossibly unfriendly. Some of these will start off as aggressive (such as Bathezid's Watch in Fens of Nathsar), while others will be non-aggressive but too wary of you to trade with you (such as the Residents of Teren's Grasp in Kylong Plains). All of these camps will have merchants and menders, and some even have bankers and brokers, which will help you once you have earned their trust. See Kunark Factions for a list of the known faction camps. It seems to be the norm that these faction camps do not really contain quest series in the standard way of looking at them, but rather each NPC at the camp has a single quest and, when you reach a certain faction with the camp, one NPC will then offer you a quest that will move you to the next camp or Hub (see Quest Hubs, below). This is first seen at Sathir's Span in the Fens of Nathsar and seems to be the norm thereafter. Starting with Rise of Kunark we are instituting a new way of organizing progression quests. This method will slowly percolate back through the older quests until we have all the progression quest series setup this way. A Quest Hub is, quite simply, a place with a group of NPCs that all give quests related to the area around their location. One of them will be the NPC that gives the quest that sends you to the next hub at the end of his quests, and he usually has the most quests to give. Other NPCs at the hub will have optional quest series that are useful for experience and rewards but don't necessarily move you along. There is a very well defined series of solo quests in Rise of Kunark that move you smoothly through the four outdoor zones and from level 70 to the new level cap of 80. This culminates in a Raid quest series to move you and your guild from the easiest of the x4 raid zones up to your final encounters with The Ring of Scale and their master, the undead dragon, Trakanon! Centuries of war have left their mark on the continent of Kunark. Explore this massive region as your existing character, or as the new playable race -- The Sarnak -- and discover a world full of intrigue and danger. Engage in all-new adventures as you embark on a crusade to reveal the truth of the wars between the reborn Iksar Empire and the Sarnak, and uncover artifacts long since thought lost to history. Experience the lush, nostalgic continent of Kunark and begin your courageous path from the new starting city in Timorous Deep. Rise of Kunark is the fourth expansion pack for the critically acclaimed EverQuest II franchise. The introduction of the new playable race � The Sarnak � and new starting area -- Timorous Deep -- Rise of Kunark provides a full range of content for new player's levels 1-20 as well as for high level players who can now advance up to level 80 in their Adventure, Tradeskill and Guild classes. Rise of Kunark includes many highly-detailed areas that are fondly remembered from EverQuest as well as brand new areas only recently unearthed! Hundreds of new quests, dozens of new NPCs, brand new Epic Weapon quests for each class, and new armor sets await those who dare set foot on this fabled continent. All classes get a unique spell at level 80. Spell upgrades that are currently every 14 levels now occur ever 10 levels. Master II choice distributions will undergo a re-thinking. Although there will be no new AAs for Kunark, there will be new ways to gain AA exp. Rediscover the continent of Kunark, with many new zones as well as nostalgia zones from EQ1. New cap for Adventurer, Tradeskiller and Guild level is 80. New playable race, the Sarnak. Dynamic Combat Music system for combat music that adapts the background music to what is happening based on your level vs. the level of your target, who is winning, etc. New Deities - The Tribunal, Karana and Bertoxxulous will arrive with RoK. The new playable race, the Sarnak, are neutral evil and start in the Timorous Deep. This can be compared to Darklight Wood in many ways. Level range of Timorous Deep will be roughly 1-20. Just as you move on from Darklight Wood to Neriak, your young Sarnak will enter Gorowyn, the city of the Sarnak and last bastion against the Dragons. The former zone of the Burning Woods is now Stone Wood, and is a sub-region of Kylong Plains, along with The Dreadlands and what remains of the outpost of Firiona Vie. The Droag from Kingdom of Sky, and the Iksar, are in league with the Dragons. Silverwing, Zygoz and Nexona from EQLive are elder dragons in this age. RoK will have some x2 raids, but most of it will be x4. There is a bottomless pit in Chardok. There will be a device available, probably as a house item, that will allow you to save AA profiles and swap them out rather than respec'ing. New Druid and Wizard portals in and near the city of Teren's Grasp in the Kylong Plains. A word of warning about Sarnak names... SOE has been terribly inconsistent about the use of apostrophe (') versus the back tick (`) when used in names. Many, but not all, Sarnak names use the back tick as a separator. This makes searching in the database for Sarnak mobs difficult. Where possible, you may want to use first names only, or partial last names, when searching in the Wikibase. This page last modified 2010-07-28 16:36:28.